As a Handcrafter, you are taking part in an industry that has a long and storied history. Products produced by hand throughout the centuries for royalty and common people alike speckle the timeline of handcrafted cosmetics. In this article, we’ll discuss the history behind cosmetics that are applied to the face and hands. Nail polish, eye makeup, lipsticks-all of these items have their place throughout history. Do you know the history of your favorite handmade products? Rainbow shades abound these days, but the standard shades of red still remain the most popular. First, let’s look at the word cosmetic. Cosmetic is derived from several Greek words meaning “order” and “ornament”. 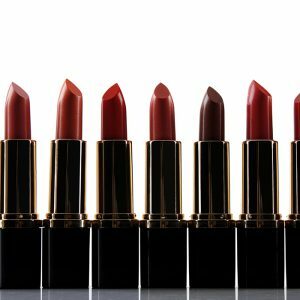 The FDA defines cosmetics as “intended to be applied to the human body for cleansing, beautifying, promoting attractiveness, or altering the appearance without affecting the body’s structure or functions”. To summarize, this means a cosmetic is a product that is used only for external benefit, or to quote Marie Gale, it is not intended to treat anything “under the hood”. For centuries, humans have enhanced their appearances using these products. But when did it all start? Ancient Egyptians began experimenting with ways to treat wrinkles, improve their appearance, and minimize unwanted blemishes. Using the resources available to them naturally, they crafted ointments and makeup, oftentimes out of what we now understand to be toxic materials! Lead would have been present in the eyeliners they crafted, while less toxic products like hair dye, nail dye and facial stains were made from red ochre and henna. Although the Ancient Egyptians did not limit the lower class to a makeup-free existence, the prevalence of makeup in the upper class by virtue of available money still existed. It has been said that nobility would lighten their skin with makeup to distinguish themselves from the lower class, who would be more tan due to lengthy manual labor in the sun. In 3000 BCE, the Chinese would use stains made of ingredients like egg whites and beeswax to color their nails. Similar to Ancient Egypt, the colors they used would indicate their class status, with lower class citizens strictly forbidden from wearing bright colors on their nails. In Japan, makeup made of flower petals, wax and even bird droppings were used by geisha to enhance their features. Different makeup style indicated different levels of experience as a geisha, but was not necessarily indicative of class status. Giulia Tofana invented Aqua Tofana, an innocent looking poison that gave new meaning to a makeup look that “slays”. Traveling through the Renaissance period, men and women of higher class status also took a page from Ancient Egypt and would use white lead paint to lighten their skin so that they would not be mistaken for a manual laborer of the lower classes. It was thought that this white lead paint also contained amounts of poisonous arsenic, leading to the deaths of many women simply for the aesthetic of a lighter skin tone. In fact, one woman named Giulia Tofana from Italy made quite a tidy living off of selling poisonous makeup to lower class women who desperately wanted to get out of their marriages. 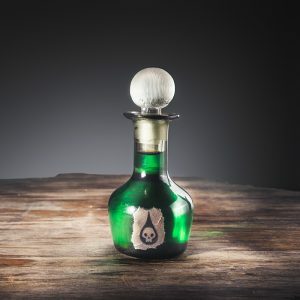 In the end, Giulia confessed to the murder of 600 men with her poisonous concoctions-it might be best not to follow her business model! For all of makeup’s popularity throughout history, it declined rapidly in popularity in the early 1900s. Makeup was designated as an indicator that a woman was a “lady of the night”, and typically snubbed by higher class women. People began to see makeup as a way of hiding the true identity of the wearer; in fact, in 1915, Kansas tried to make it a misdemeanor for a woman under the age of forty-four to wear makeup because it was felt that it gave an unjust impression of the wearer. Even nail polish wasn’t safe-if a woman wore a shade darker than the approved pale pink, they were viewed as “fast”. The mid 1900’s weren’t much kinder to cosmetics, owing to the shortage of supplies to make them during World War II. The 1970’s saw makeup rise again with natural looks popular for the daytime. 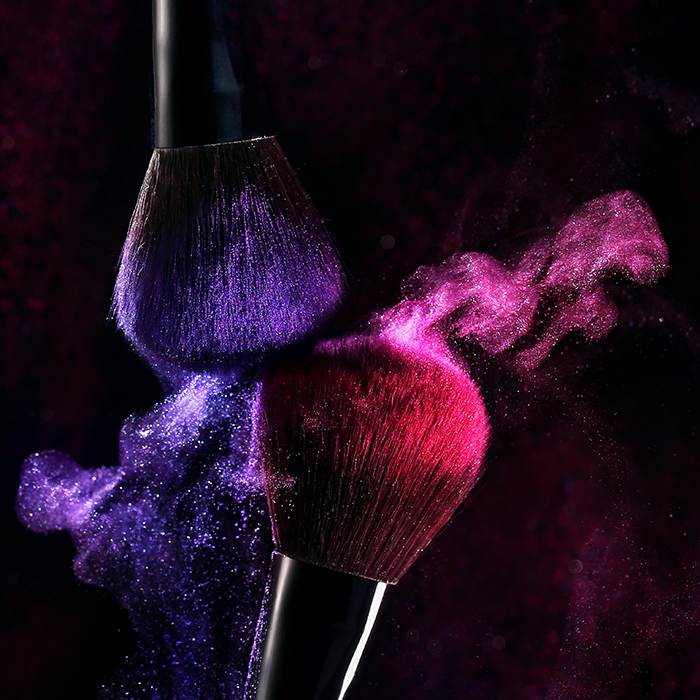 Today, cosmetics have become a $445 billion industry in the United States alone. Makeup isn’t a social status indicator now, but rather a form of expression. Nothing is off limit’s in today’s cosmetic atmosphere-rainbow colored lipsticks, blinding highlighters and holographic nails abound! Not only are cosmetics more widely used by both women and men, but people care more about how their products are made, forcing manufacturers to use higher quality ingredients-or, encouraging consumers to buy handcrafted. Cosmetics, particularly makeup, have been a fixture throughout history. As humans, we look for ways to enhance our image to elevate us socially as well as emotionally. If you haven’t yet, consider adding a few handmade makeup products to your line. Even starting with a tinted lip balm opens a variety of doors with different customers who will come for a handcrafted solution to their makeup needs, but will leave with more of your products in hand. Thanks for joining us this week! Don’t forget to subscribe to Cut to the Trace so that you can get updated when we post new content. For more articles and information, check out the HSCG How-To Library.